Filip “Chibs” Telford is a fictional character, on the FX television series Sons of Anarchy, played by Tommy Flanagan. Tommy Flanagan (born 3 July 1965) is a Scottish film and television actor from Glasgow, Scotland. Flanagan is the third of five children. His first television roles were in Screen One (1992) and Taggart in 1993. Flanagan worked in Robert Carlyle's Raindog Theatre for three years before being cast in Braveheart (1995). He has had roles in Face/Off, The Game, Sunset Strip, Gladiator, Alien vs. Predator, Sin City, Smokin' Aces, Smokin' Aces 2: Assassins' Ball, When a Stranger Calls, All About the Benjamins, The Last Drop, and the mini-series Attila. Flanagan also portrayed arms dealer Gabriel Schecter in the first episode of 24's seventh season. 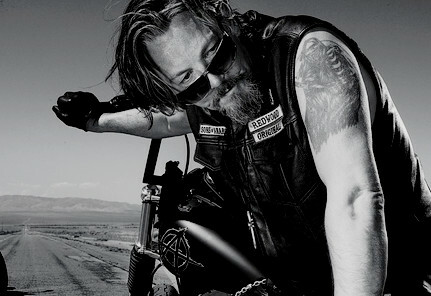 He is one of the main cast members of Sons of Anarchy, as Filip “Chibs” Telford. Filip “Chibs” Telford becomes the Vice President of the Sons of Anarchy Motorcycle Club. Unlike most of the club members, who are American, Chibs is a Scot of Irish descent. He is nicknamed “Chibs” because of his facial scars (“chib” is Scots slang for a knife or blade). Flanagan's scars are real, having received them in a mugging. Chibs is extremely loyal to Jax Teller and the club. Chibs also seems to have a good relationship with Tig Trager, and appears to be an increasingly father-like figure to Juice Ortiz.